The start of the race will take place by the water’s edge in front of Mariner’s Landing Pier. Competitors will then enter the water and swim out to a clearly marked flag just past the breakers. 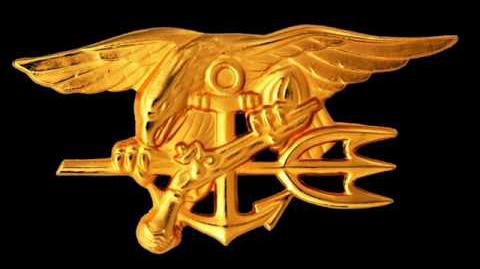 Everyone must turn the flag on the ocean side and proceed south (toward Garfield Avenue). 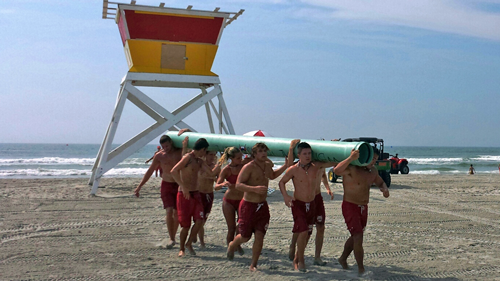 There will be lifeguards in the water monitoring the safety of every swimmer. Swimmers will continue swimming South, passing buoys along the way in an effort to help keep everyone from swimming too far out, until they reach the second turn flag. 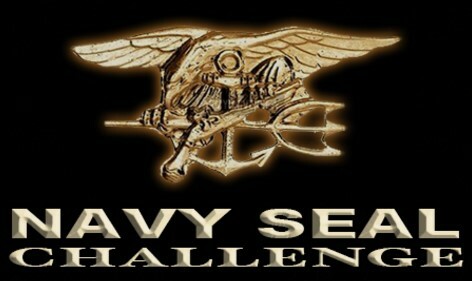 Competitors are required to turn this second flag on the ocean side and swim to shore. At this point, the beach patrol tower will be an excellent landmark to assist swimmers in finishing the swim portion of the race. When swimmers exit the water, they must first run over one of the chip mats. There will be volunteers at the swim exit directing competitors where to go so that no one misses the time chute. 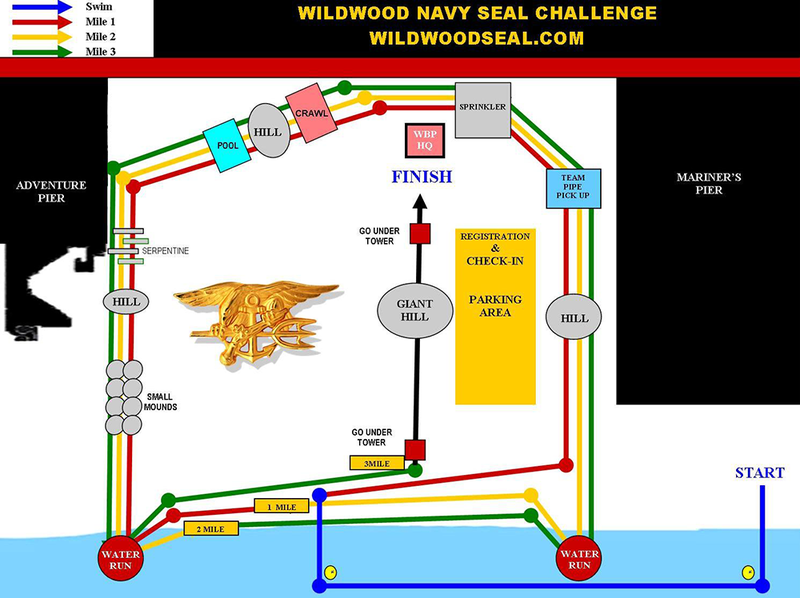 It will also lead the race participants up toward the transition area and the start of the run/obstacle course. 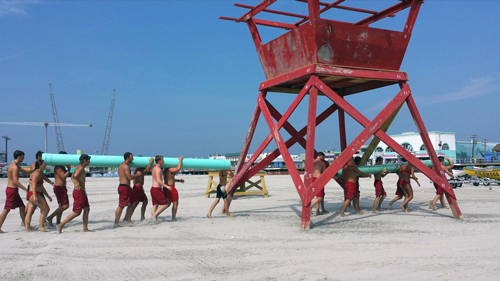 Once a competitor leaves the transition area, they will run towards the boardwalk, behind the Wildwood Beach Patrol Headquarters, and then diagonally toward the Adventure Pier. There will be quite a few obstacles in this area, but once runners are through them, they will continue down along the roller coaster back to the water’s edge. They will have to run out into the water, around a lifeguard stand, and then head North along the beach to where they exited the swim. There will be another lifeguard stand in the water they must run around before they continue back up towards the transition area for Lap 2. Lap 2 will be identical to Lap 1. 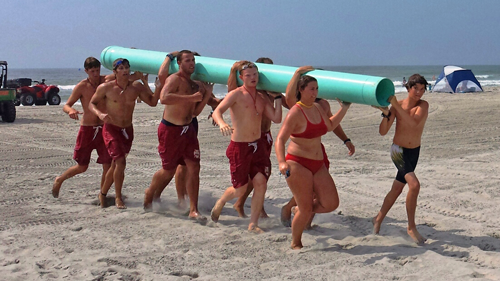 Lap 3 will be the same as well, but when competitors run around the waist deep lifeguard stand in front of the Great White roller coaster (for the third and final time), they will run toward the beach patrol tower. Then they will run up the middle of the course (Lincoln Avenue), into a finish chute with one final obstacle. The race will end in front of the Wildwood Beach Patrol’s headquarters, where all prizes, giveaways, and race results will be disseminated. 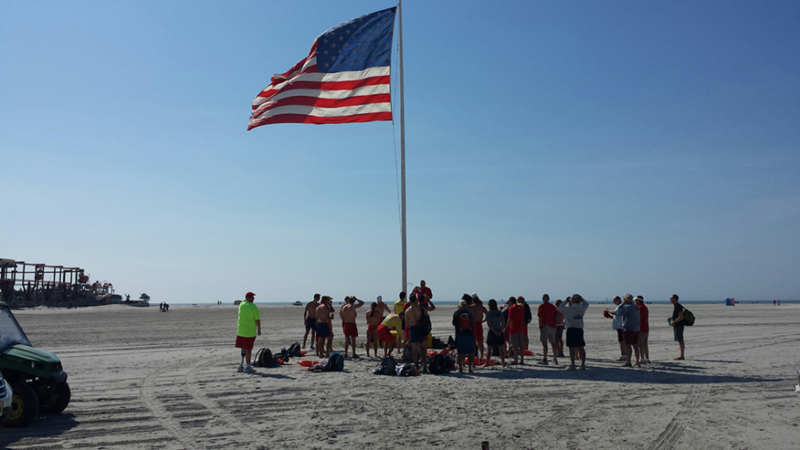 Parking available on the beach - enter at Schellenger Ave and follow the instructions of the Wildwood Beach Patrol.